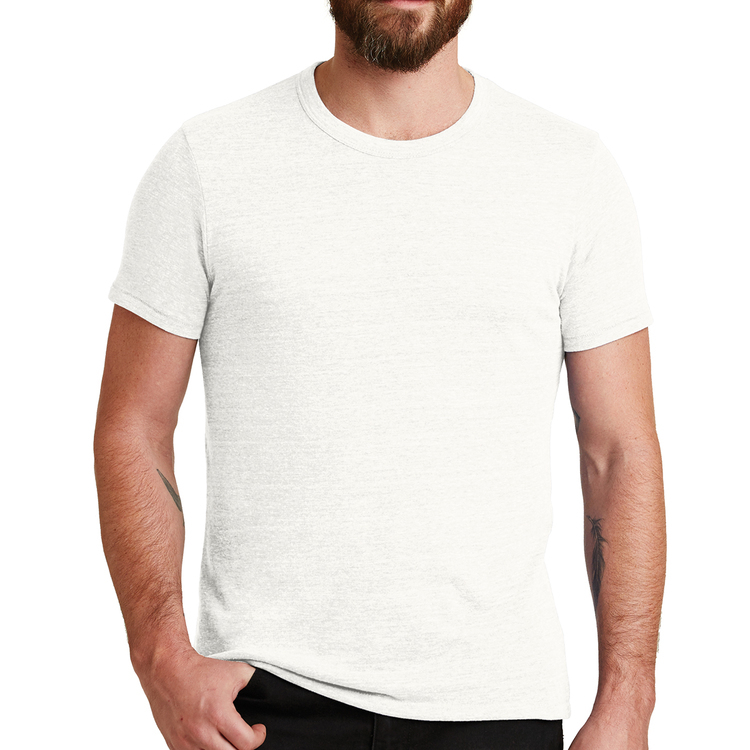 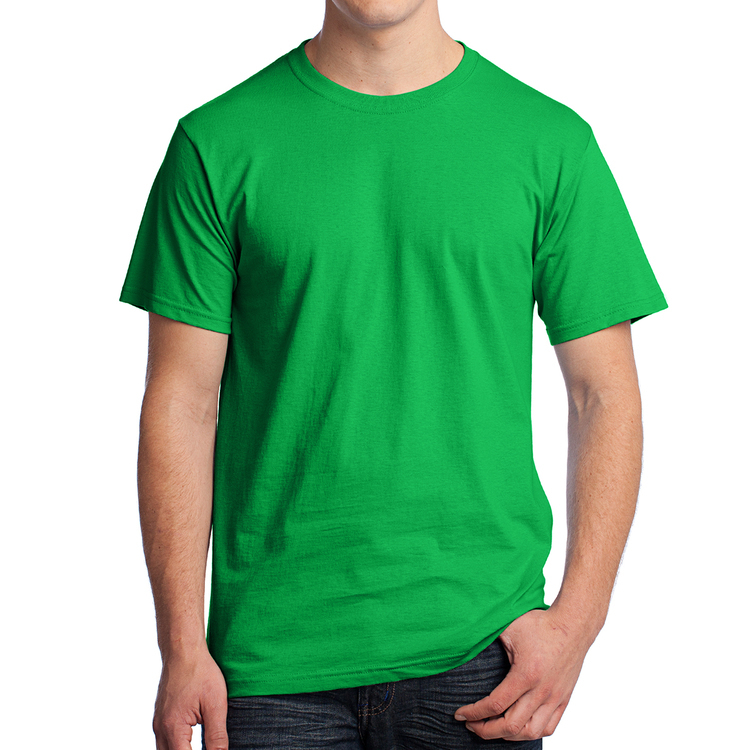 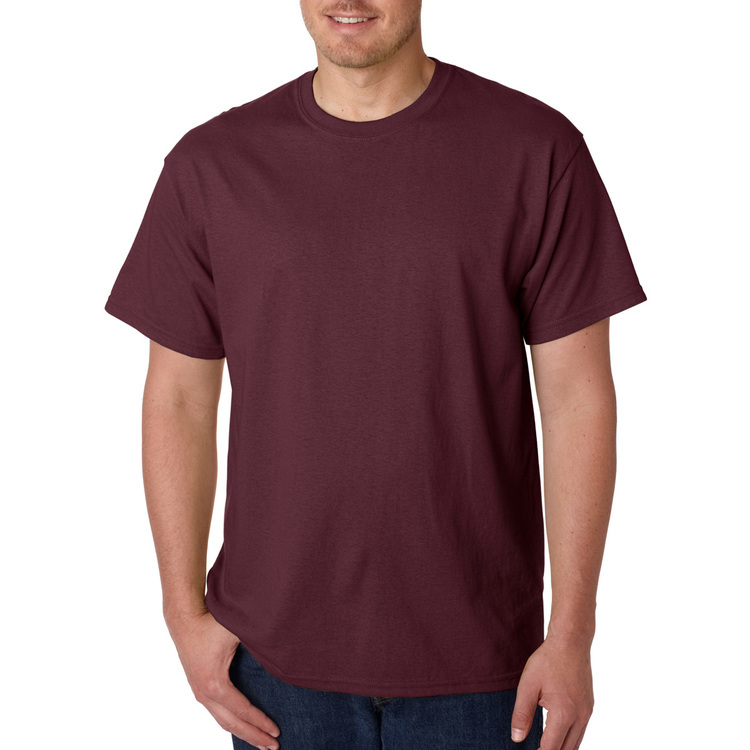 • Slimmer cut than the 3930R basic T-shirt, but not a completely fitted / slim cut. 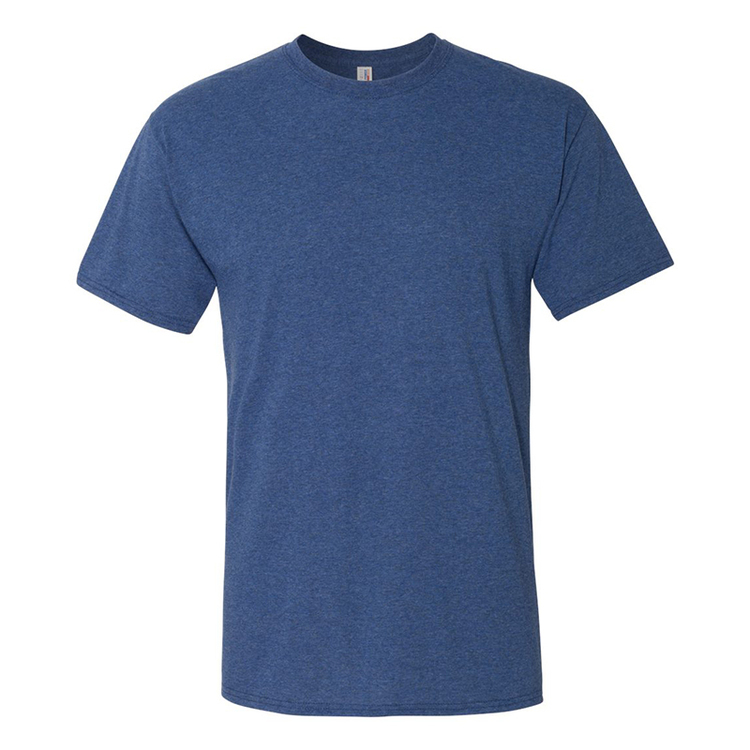 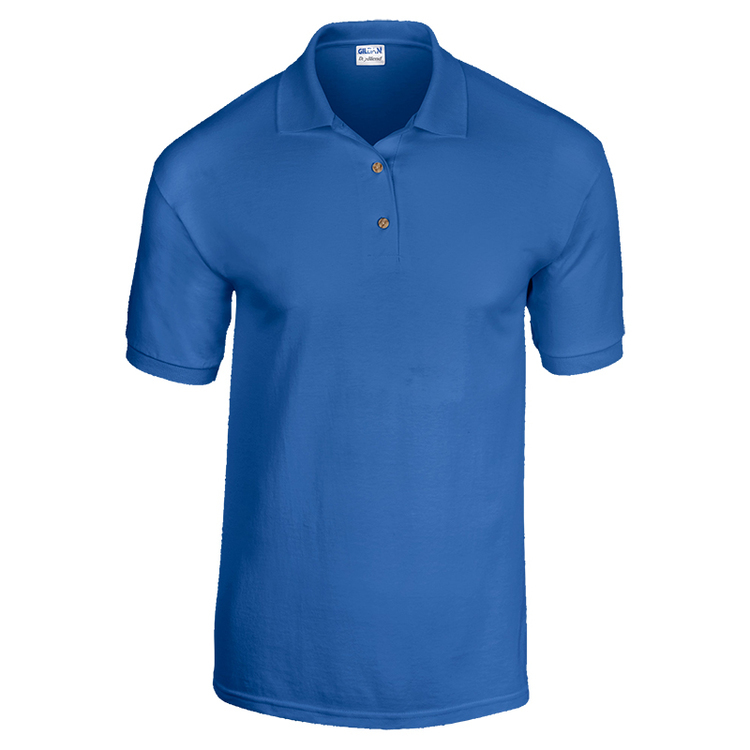 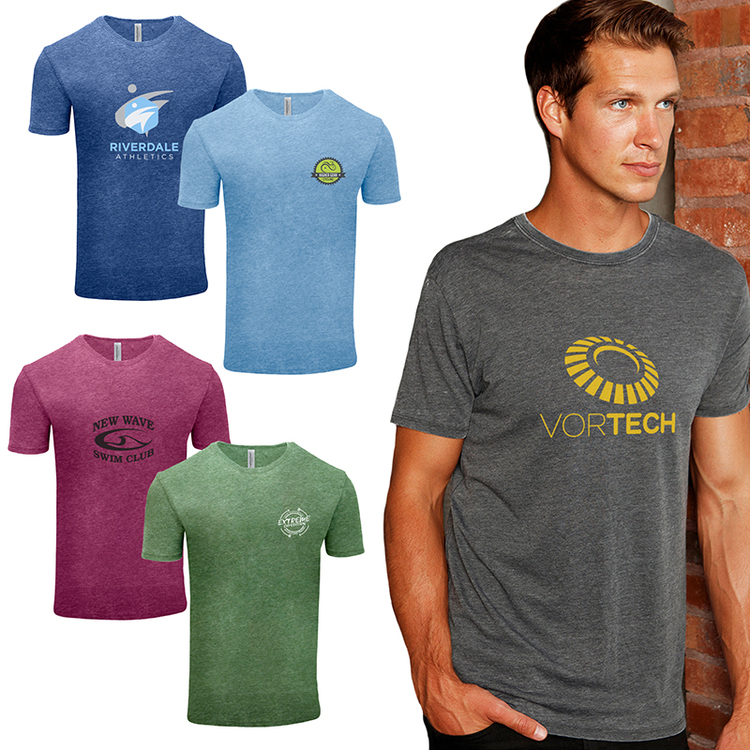 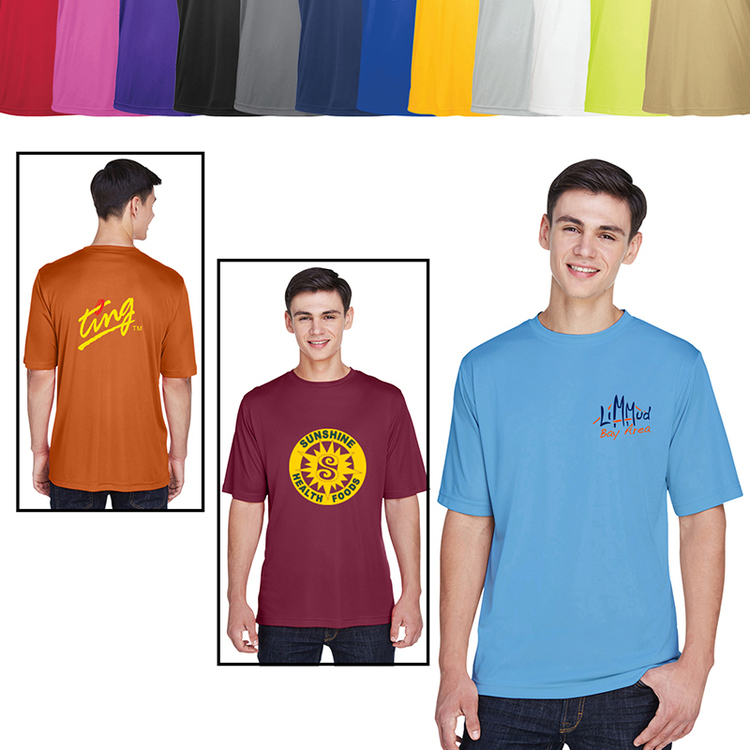 • Made of 4.7 oz., 100% Sofspun® Cotton jersey. 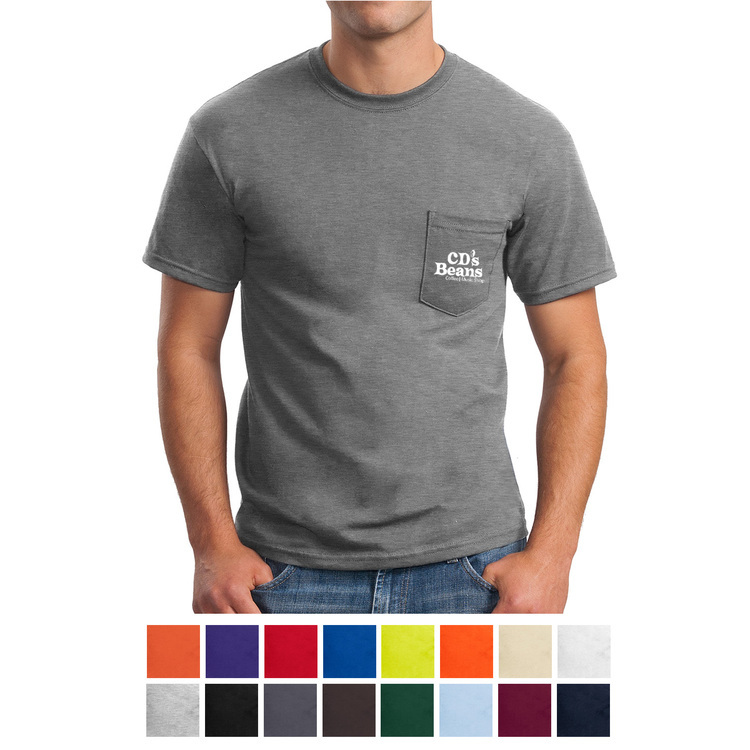 • Soft hand that almost feels like ringspun Cotton, but prints better. 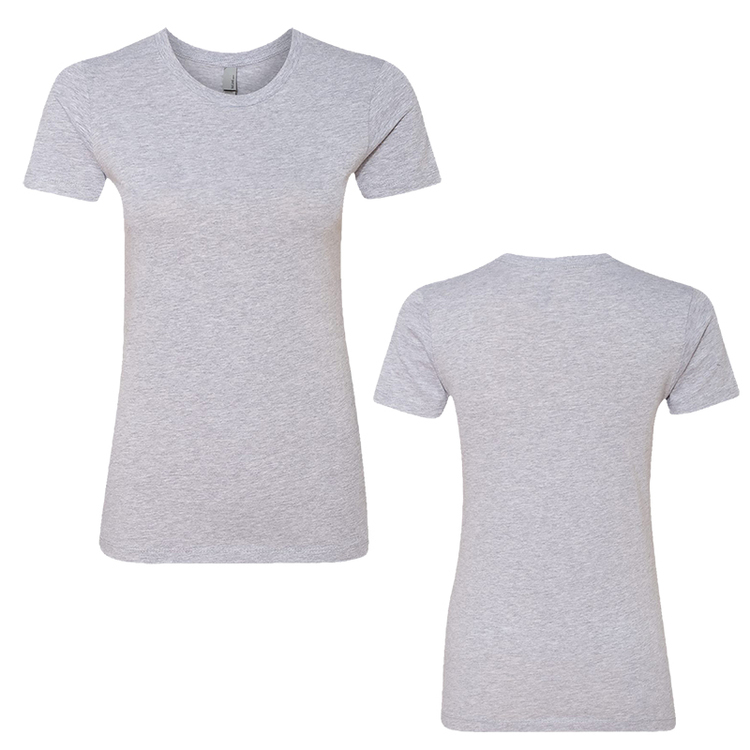 • Tearaway label. 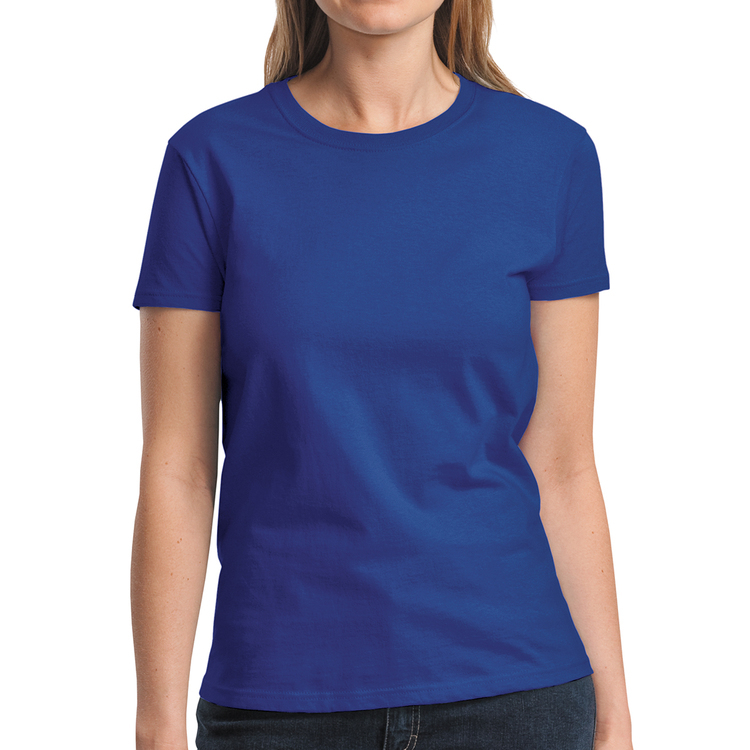 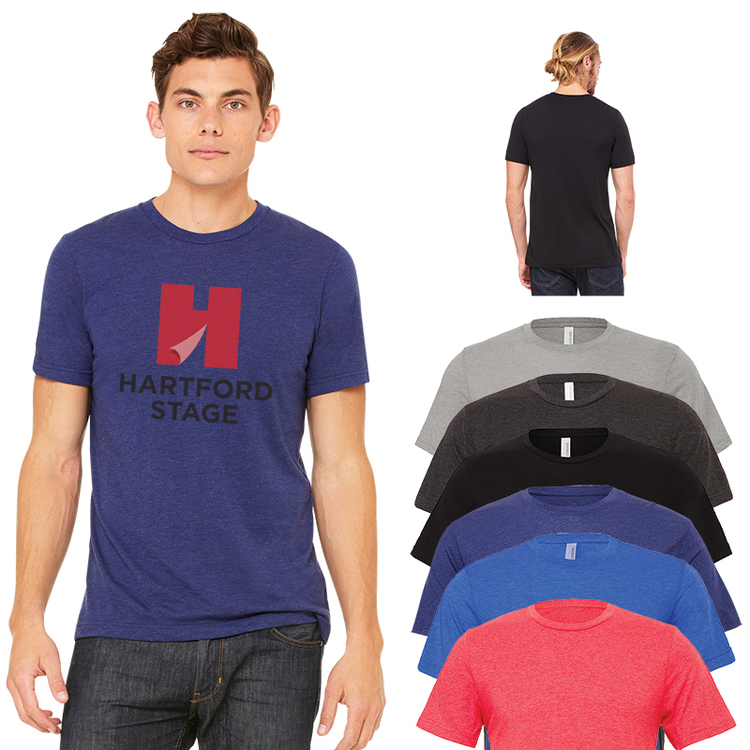 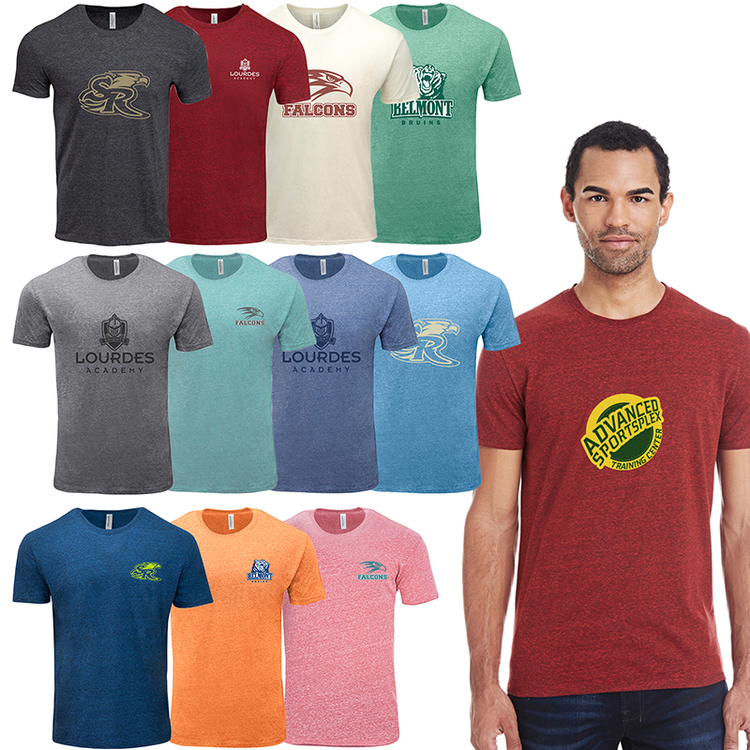 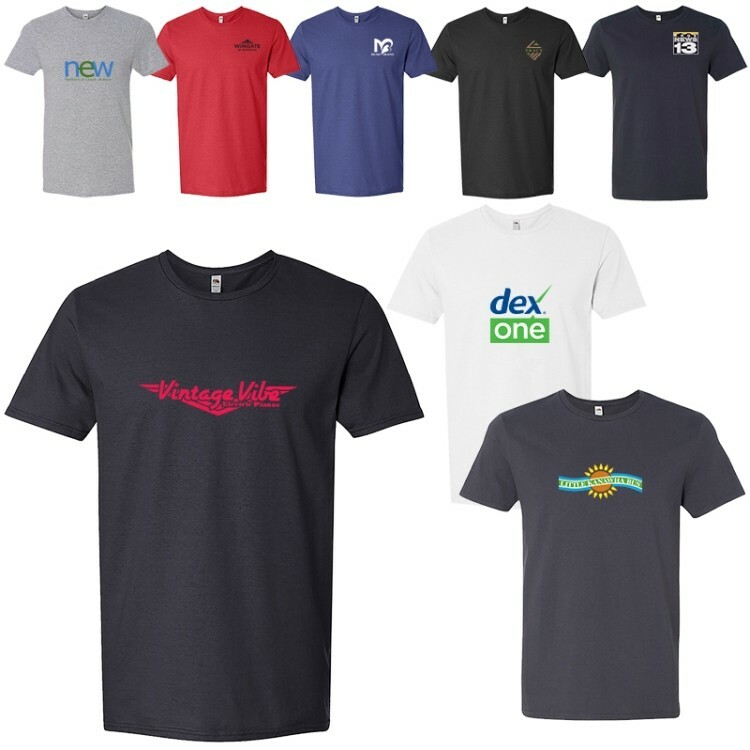 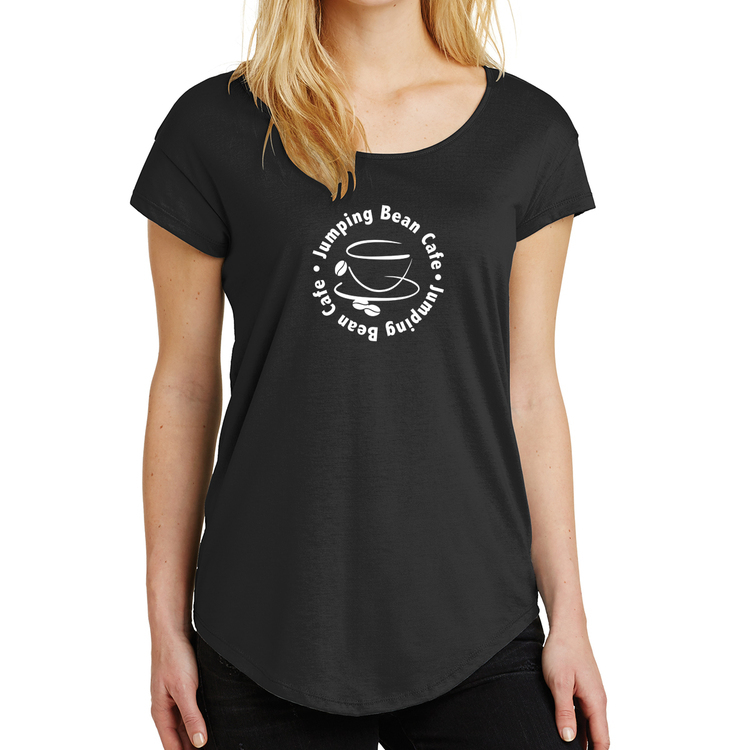 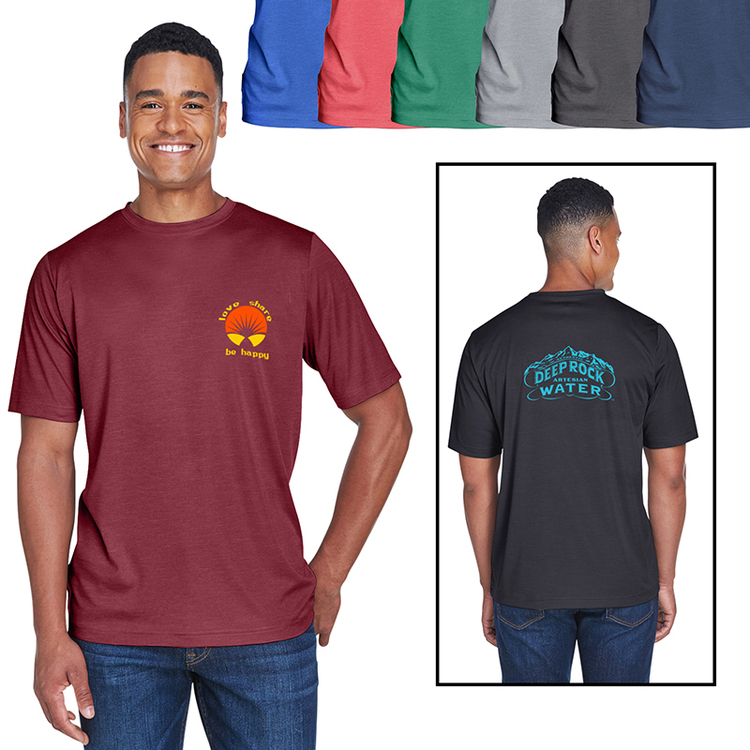 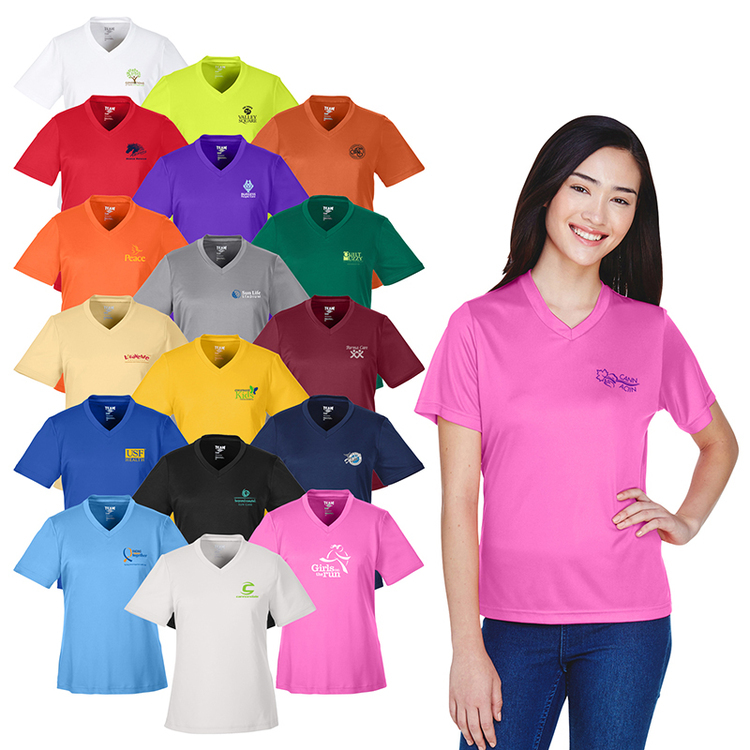 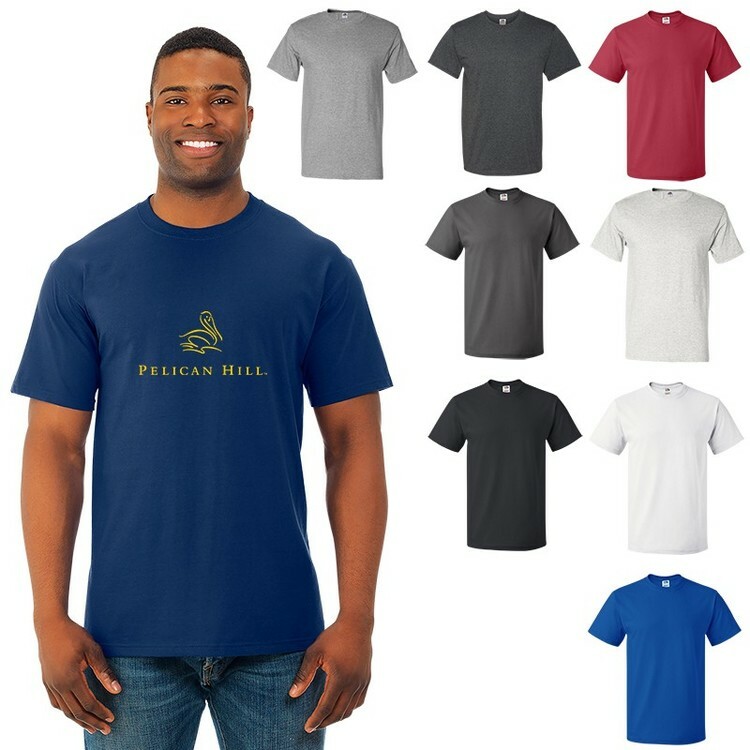 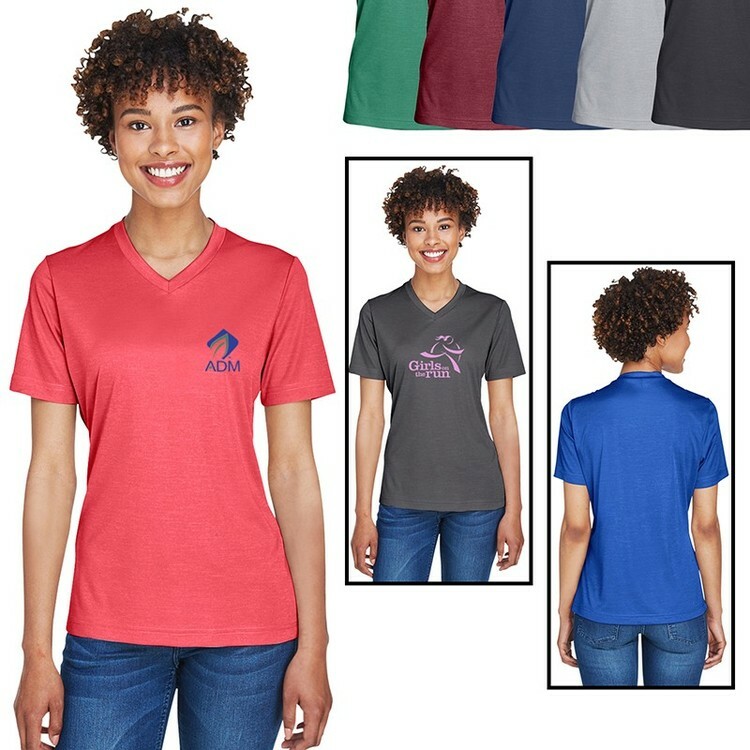 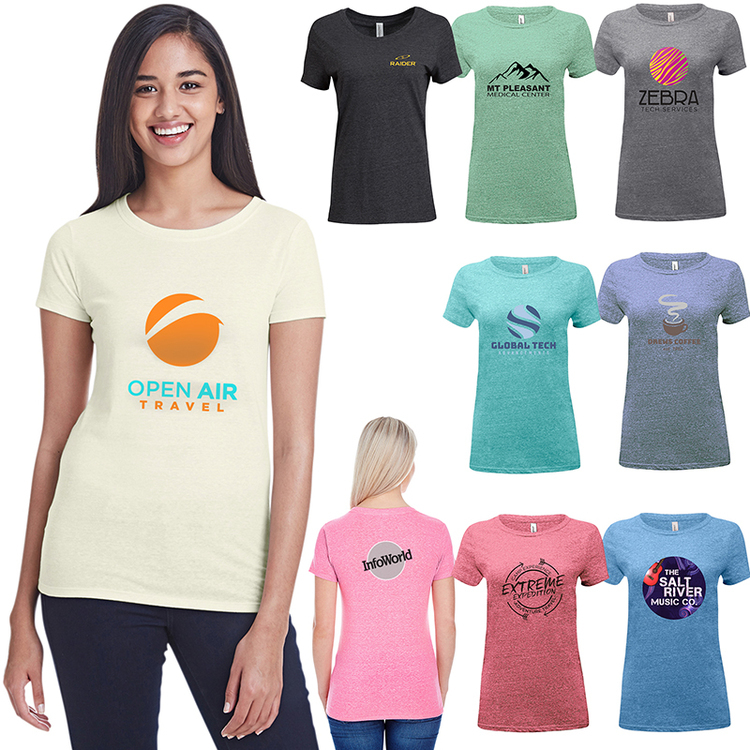 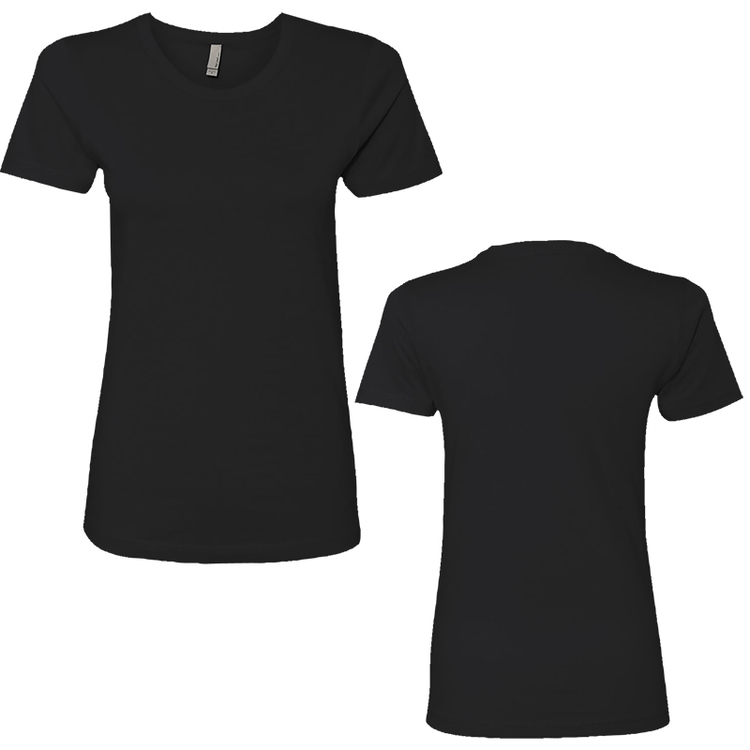 • Super soft ladies' tri-blend t-shirt made of 4.2 oz., 50% Polyester, 38% Combed Ringspun Cotton, and 12% Rayon • Features smooth surface making this ideal for silk screening • 32 Singles • Retail fit • Side-Seamed • Tear-away label. 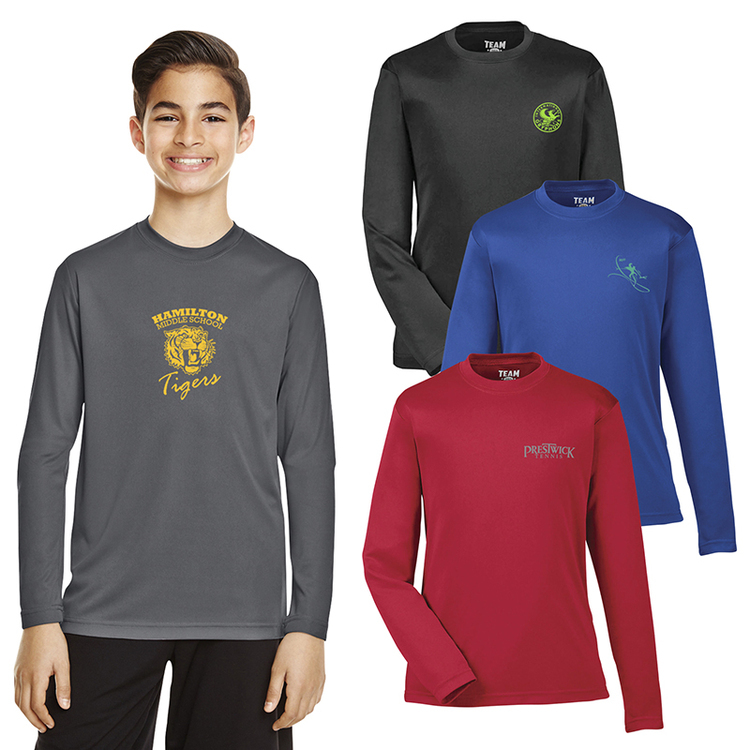 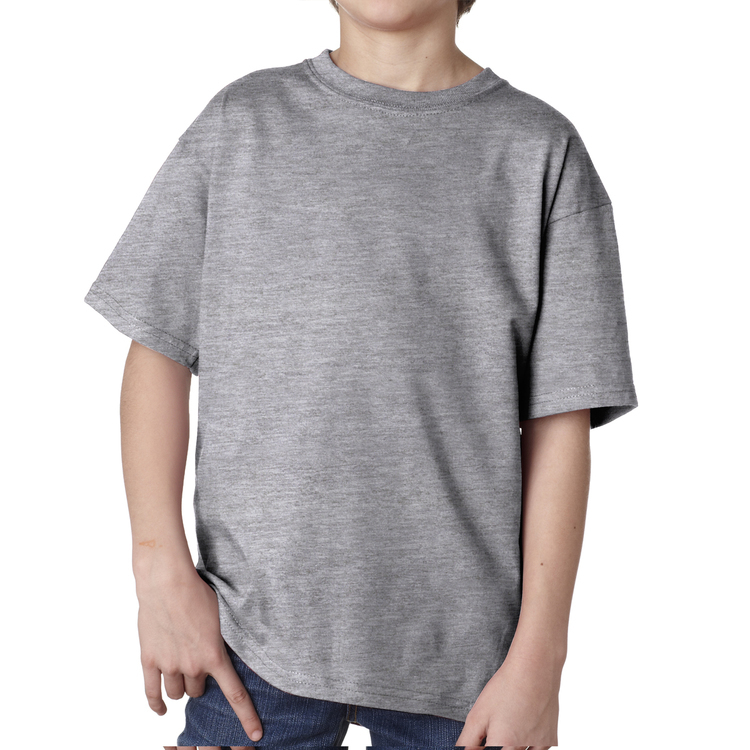 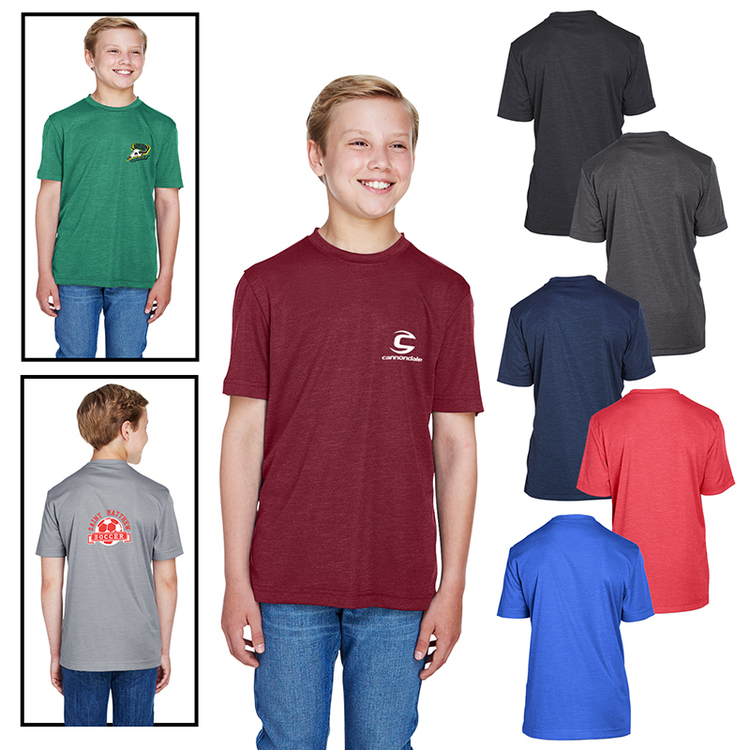 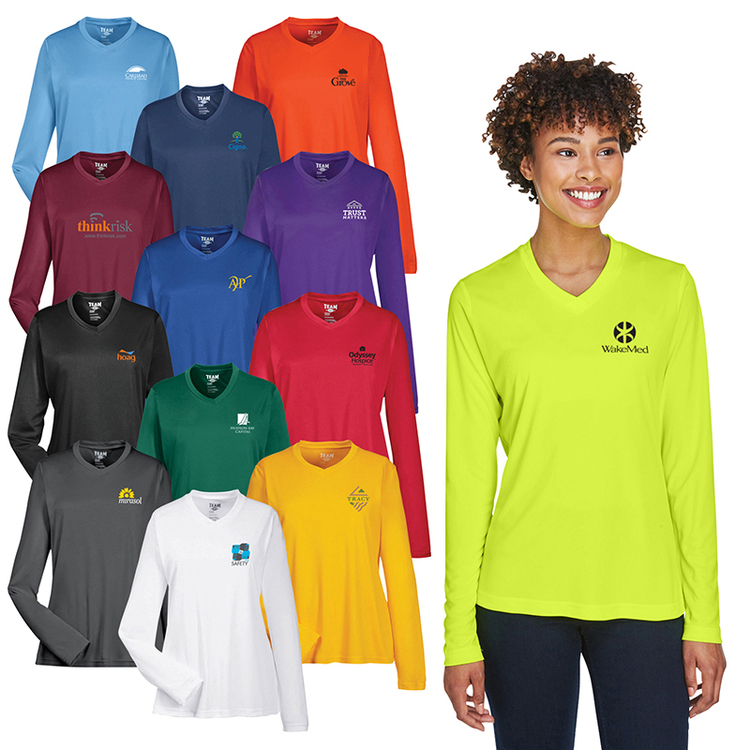 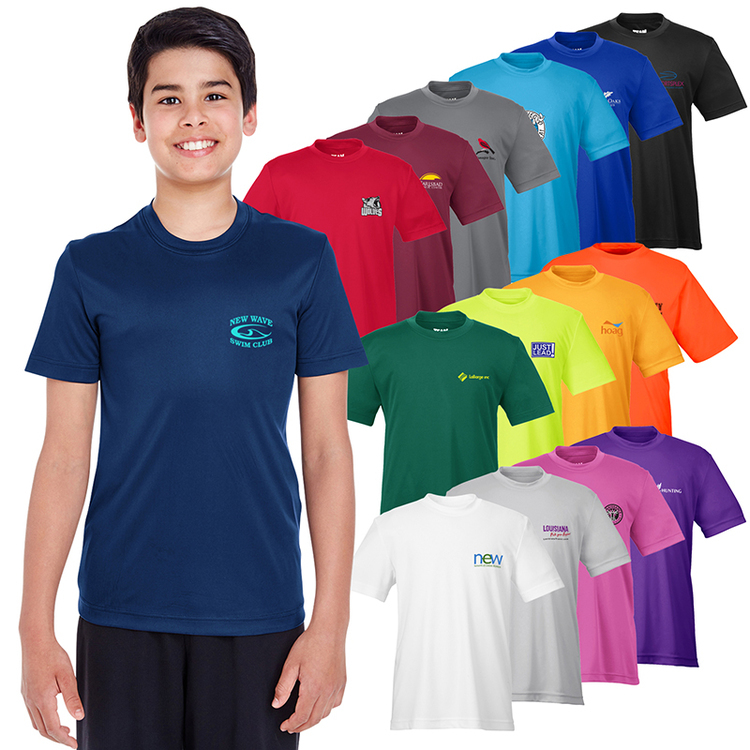 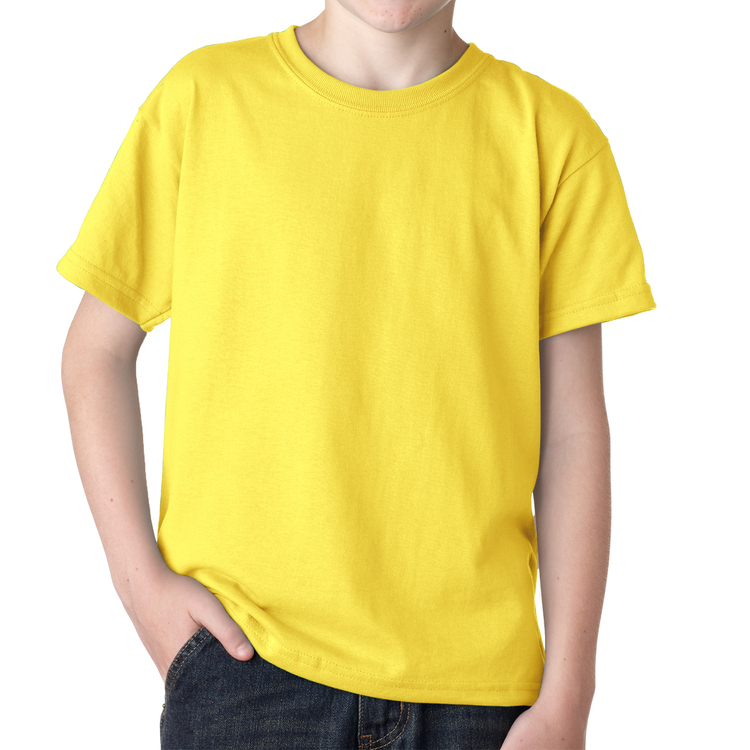 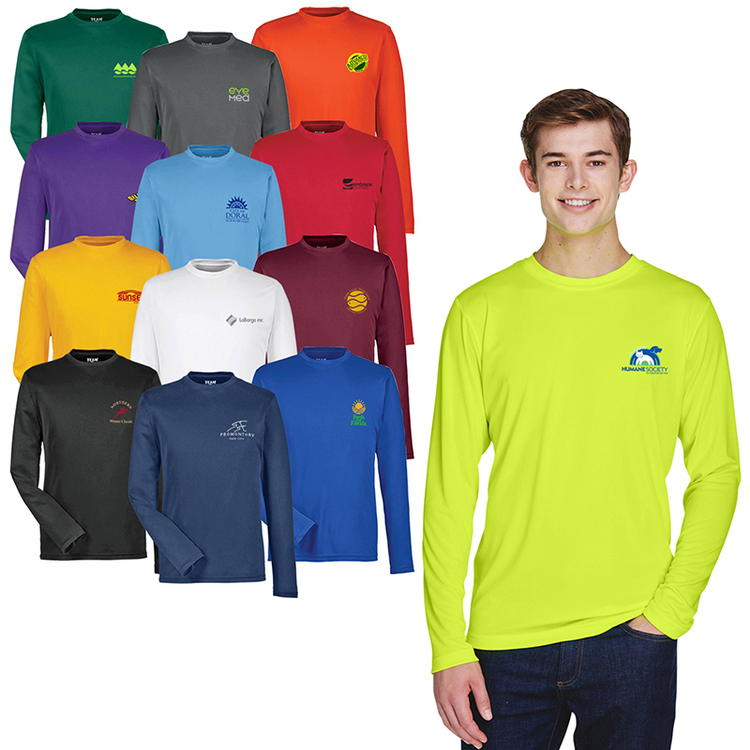 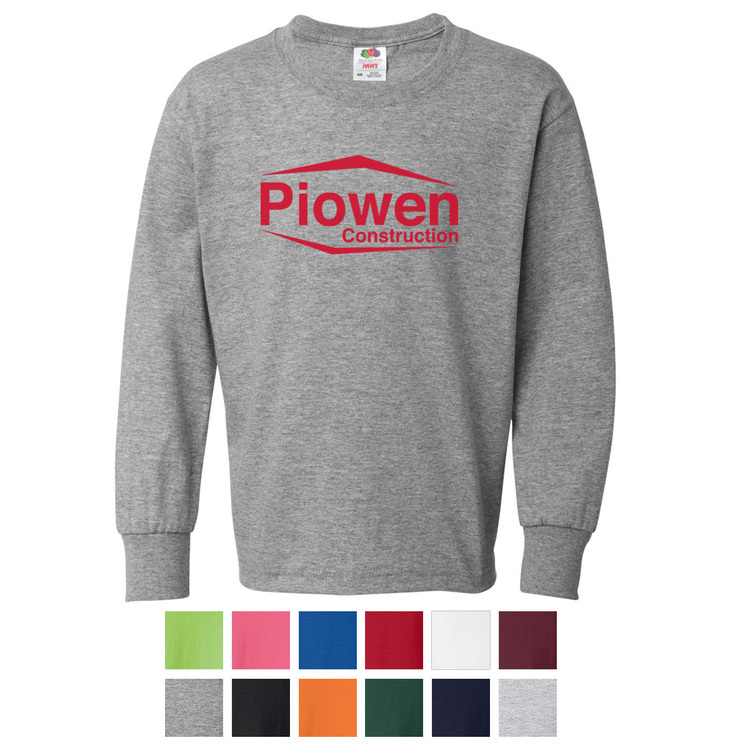 • Youth size performance long sleeve T-shirt made of 3.8 oz./yd²/130 GSM, 100% Polyester interlock with moisture-wicking and UV protection • Features heat-sealed label • Team fit • Cationic dyes are used in the manufacturing of this garment to ensure superior brightness and excellent colorfastness"
4.3 oz, 100% combed ring-spun Cotton jersey (Heather Gray 90% Cotton/10% Polyester).